Three International Space Station crew members are back on Earth today following a morning Soyuz landing on the snowy steppes of Kazakhstan. NASA astronaut Barry Wilmore, along with cosmonauts Alexander Samokutyaev and Elena Serova, descended in their Soyuz spacecraft through a layer of fog, touching down at 8:07 a.m. local time (10:07 p.m. Wednesday EDT, 14:07 UTC Thursday). 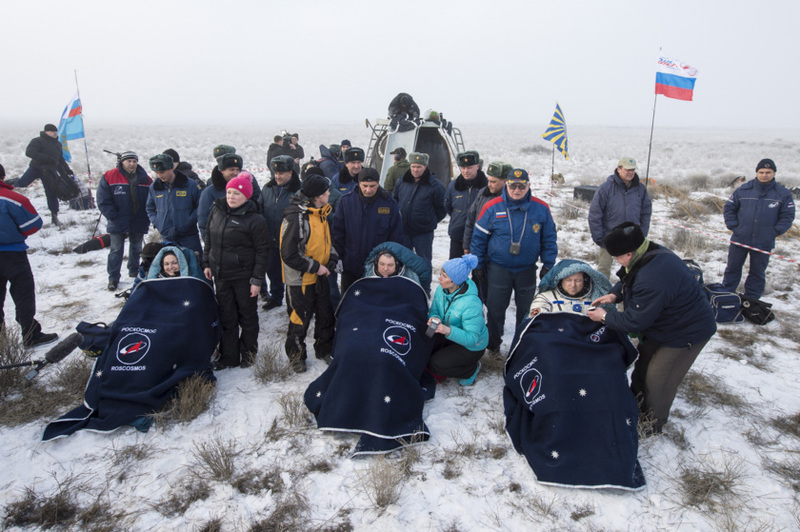 The Soyuz TMA-14M capsule landed upright, with all three crew members emerging in good spirits. The station’s crew complement is now down to three, with Terry Virts, Anton Shkaplerov and Samantha Cristoforetti remaining in space. On March 27, NASA’s Scott Kelly, along with Russia’s Mikhail Kornienko and Gennady Padalka, will launch aboard another Soyuz from Baikonur Cosmodrome in Kazakhstan. Kelly and Kornienko will begin the first one-year ISS mission, designed to collect long-duration data on how the human body responds to space. 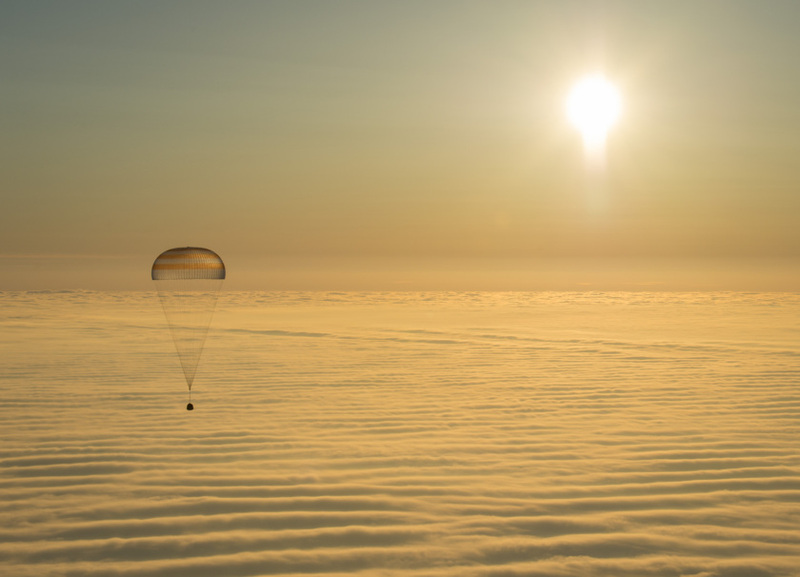 Soyuz TMA-14M floats toward a layer of fog in Kazakhstan. 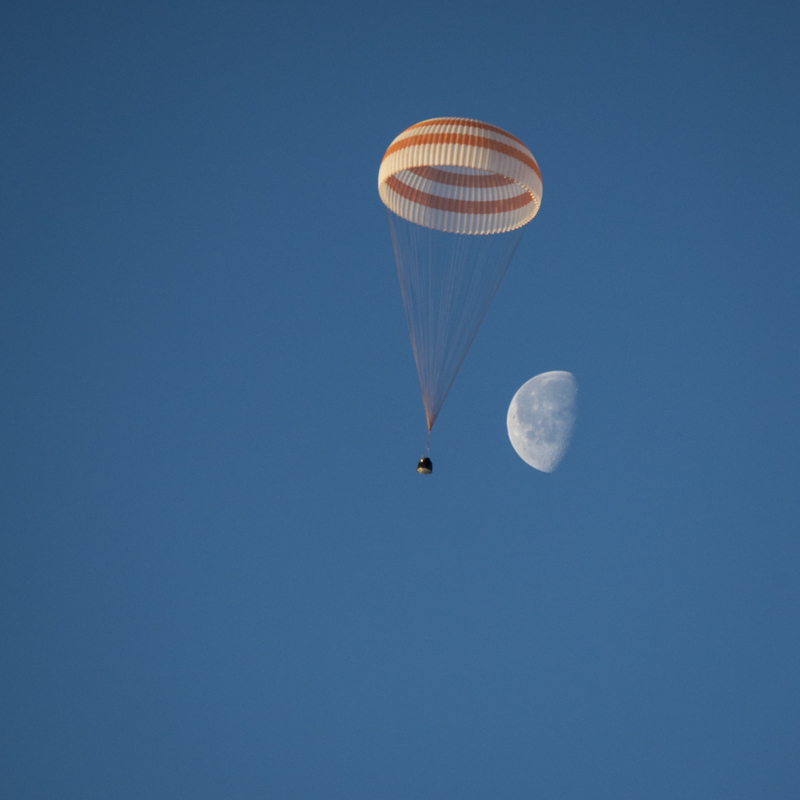 Soyuz TMA-14 descends under parachute. 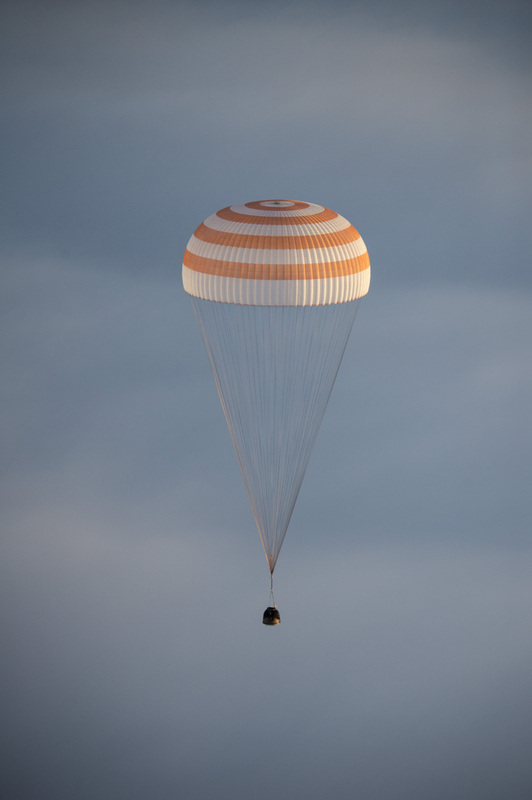 The crew of Expedition 42 returned to Earth after a 167-day stay aboard the International Space Station. From left: Elena Serova, Alexander Samokutyaev, Barry Wilmore.